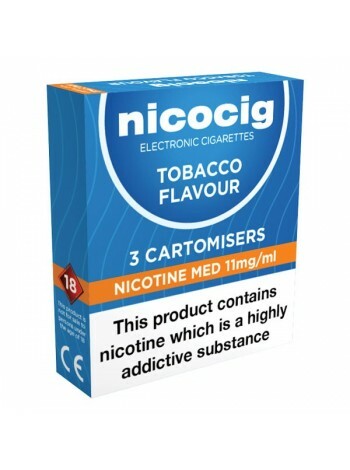 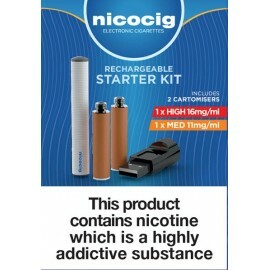 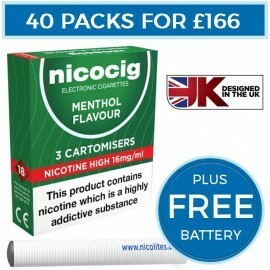 Nicocig tobacco cartomisers have an authentic tobacco flavour ideal for the traditional cigarette smokers and tastes just like the real thing. 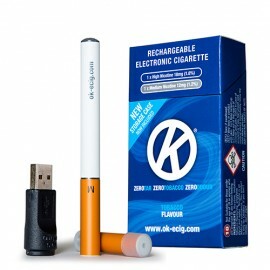 Available in 6mg low, 11mg medium and 16mg high nicotine strength. Each pack contains 3 cartomisers.